The International 2017 Secret Shop is now open for business, offering this year’s new lineup of Dota 2 merchandise to fans around the world before the tournament even begins. Featuring a host of both original and community-created designs, the Valve Store powered by WeLoveFine is now taking orders to ship this year’s products almost anywhere in the world. 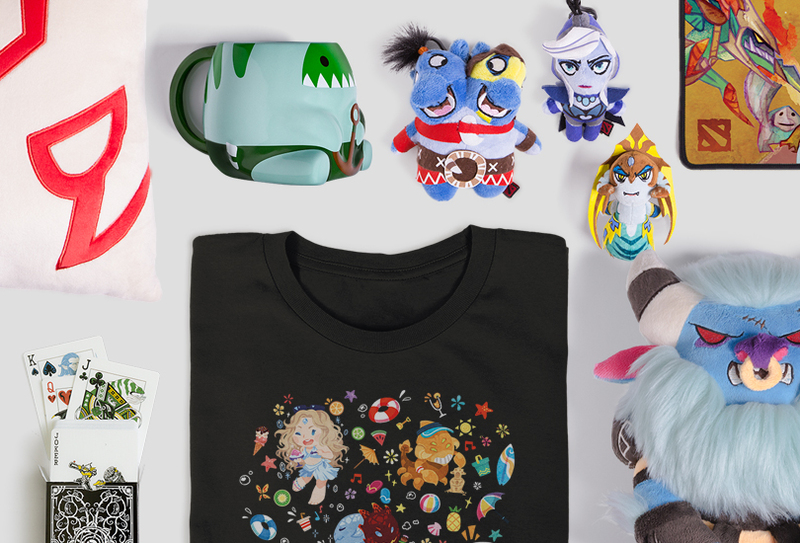 Plus, to help expand the reach of the shop’s offerings, our partners at Perfect World will be accepting orders next week at ChinaJoy and the Perfect World Secret Shop. For fans making the journey to Seattle next month, the on-site Secret Shop will offer a select range of items for attendees at KeyArena, including several gifts with purchase exclusive to fans at the event. More information for on-site purchasing will be available to ticket holders soon, so keep an eye on the inbox associated with your ticket purchase.